Through October 10, 2016. The most fun you’ll ever have reclaiming Fort Ticonderoga! This icon of American history now has a corn maze in the distinctive star shape of the fort..it’s Fort Ticonderoga’s Heroic Maze! 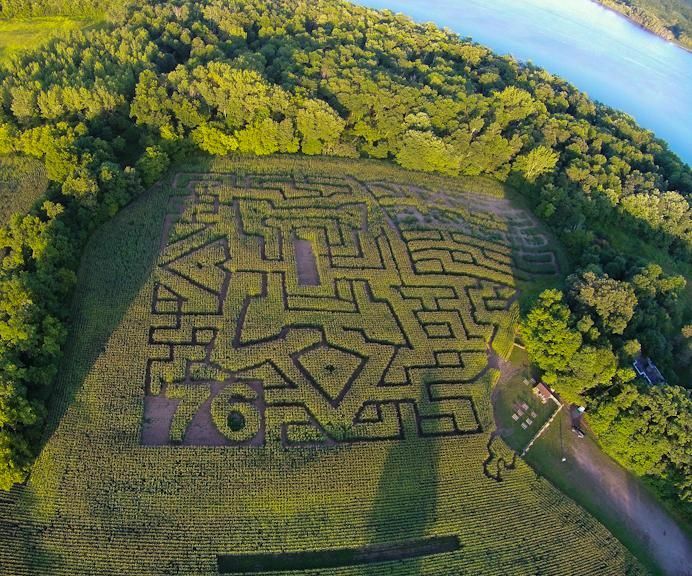 Located on the shores of New York’s Lake Champlain, this six-acre corn maze will entertain you with it’s “Engineer a Fort” Maze Quest. There are 8 stations hidden throughout the maze, each representing a component of this 18th century fort. With over 2 miles of paths in the main maze, look for history clues to help you find you way through the maze. A fun fall activity in “America’s Fort”!